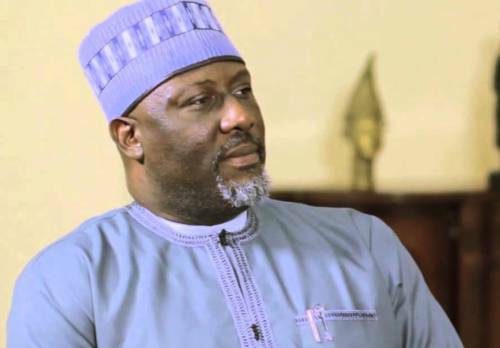 A Federal High Court in Abuja on Monday dismissed the suit by Kogi West Senator, Dino Melaye, challenging the validity the process of recalling him by his constituents. Justice Nnamdi Dimgba, in his judgement, ordered that the Independent National Electoral Commission “shall proceed with the recall process”. According to reports, the judgement effectively terminated the earlier ex parte order made by another judge of the Federal High Court in Abuja, Justice John Tsoho, on July 6, 2017, directing parties to maintain status quo. The judge noted that the 90 days period within which the Constitution ordered the INEC to conduct a referendum on receiving the recall petition had been paused since June 23, when Melaye commenced the suit. He ordered that the period would only continue running from Monday. But he ordered INRC to issue an amended recall timetable giving the senator a minimum of two weeks to equip him to defend against the recall process. He ordered that the amended timetable should be served on Melaye. In his judgment, Justice Dimgba held that contrary to Melaye’s contention, there was no provision in section 69 of the Constitution requiring his constituents to afford him fair hearing before sending such petition to INEC. Justice Dimgba also admitted that although the Constitution did not expressly provide that the INEC must serve the affected legislator with the petition and the accompanying documents, it was required in the spirit of fair hearing so that the legislator could be equipped to fight the recall. The judge described Melaye’s suit as “hasty, premature and presumptuous” as the INEC had already scheduled the exercise for the verification of the authenticity of the signatures in support of the petition being complained about by Melaye. “He must first go into the verification exercise and only when he does not get justice that he can come to court,” Justice Dimgba ruled. The judge also dismissed the argument that the the number signatures ‎did not meet the threshold stipulated in the Constitution. He insisted that on the face of the statistical analysis accompanying the suit, the number of signatures to kick start the recall process in the Kogi West senatorial district was 188, 588 out of the 360,100 ‎registered voters in the district, had been met.